I own gold, I own some gold. I don’t think that’s what’s going to be the safe haven at the moment; it could be, I mean, if war breaks out, of course, a lot of people are going to flee into gold, and I’ll be buying more gold at 1,500 or you pick the number, and happy to get it. No, if the world reverts to the US dollar, the US dollar goes higher, often, not always, but often, gold goes down when the dollar goes up. People will be fleeing to the dollar, they think it’s the better safe haven. So I would prefer – I own more gold than I do dollars, at the moment, I’m not sure I own more dollars than I do gold, at the moment, expecting the dollar to go higher, which will put more pressure on gold. But I’m not selling my gold; I am hedged with my gold. I’m doing nothing at the moment. It is true that throughout history, war has been declared by politicians or bureaucrats have used war to distract people from other problems. I’m not sure that it’s a conscious act, they sit down and say ‘Ah, we’ve got a problem, so let’s start a war’, or whether it just happens naturally, but in either case, there is no question at all that this is distracting a lot of us from the fact that the economy is not doing well. 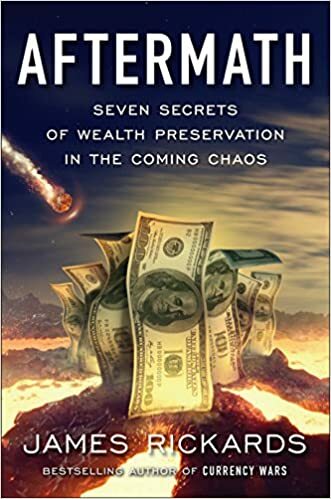 The economy worldwide is not doing well, and this is certainly distracts people, making them think about other things, and it might even revive – it would revive, some parts of the world economy. Not a good way to revive world economies; in the end, you destroy more capital, as well as lives, than you develop, but it has happened this way many times in history. I will tell you, the whole Middle East situation is unbelievable. I cannot think of many times in history where you have so much just pure, pure chaos by so many people. I mean, it’s not as though there are one or two people making mistakes in the Middle East, there must be a dozen people making mistakes in the Middle East, and unfortunately, they are coming together more and more. I’ve got to sit down and figure out how this is going to end, because it looks like it could end in a very, very bad way for all of us. Wars start when bureaucrats make mistakes and then other bureaucrats react to those mistakes and then next thing you know, you have eight or ten bureaucrats sending 18 year old kids to kill each other, and it’s very worrisome what’s happening. Having said that, to answer your question, war is not good for anything, anything at all, except commodities. I’m not going to say buy commodities because you don’t want to start a war, but if there’s going to be a war, it usually means commodity prices go higher. GoldSeek Radios Chris Waltzek talks to Famed investor Jim Rogers. Jim Rogers Explains Why He Is Looking More Favorably Towards Russia. Rogers Holdings Chairman Jim Rogers discusses the Greek debt deal and oil prices. Watch Dagen Mcdowell and Sandra Smith talk about Europe on Mornings With Maria. RT and SPIEF have jointly held a panel discussion titled ‘THE NEW DEVELOPMENT BANK: A STRONGER ROLE FOR BRICS IN THE GLOBAL FINANCIAL ARCHITECTURE’. The BRICS economies have established a USD 100 billion development bank to be based in Shanghai. What does this new institution mean for global economic management? What are some of the key areas of focus over the medium term? RT presenter Peter Lavelle was joined by a set of very distinguished guests - representatives of banks, ministries, think tanks: Pedro Alba, Amar Bhattacharya, Vladimir Dmitriev, Kundapur Vaman Kamath, Philippe Le Houerou, Sergey Storchak, and Shaolin Yang. Front-row guests: Ben Aris, Yaroslav Lissovolik, and Jim Rogers. Russia's economic problems and Greece's possible exit from the euro zone are just more buying opportunities, says legendary investor Jim Rogers. Hundreds gathered in Paris to show their solidarity with Greece, supporting Athens' resilience in fighting the harsh bailout conditions now being demanded. The protesters were mainly from France's left-wing parties.The prime minister is calling for Greece to be respected, to make sure it stays in the eurozone. For more RT is joined by Jim Rogers, Financial commentator and co-founder of the Quantum Fund. Taking a longer-term perspective, Rogers reiterates what he's long said: China today is like the U.S. at the start of the 20th century. 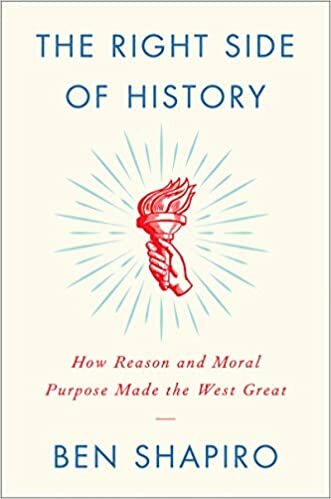 "We rose to power and glory in the 19th century despite a horrible Civil War, 15 depressions, very few human rights, little rule of law and yet we became a pretty successful country in 20th century," Rogers says. "That's my view of China." Rogers' long-term optimism about China was further burnished by the November 2013 Third Plenum, when the country's Communist Party leaders declared the market would play a “decisive role” in the economy going forward. "To my astonishment and delight, they came out and said 'during periods of uncertainty, were going to let the market decide,'" he recalls. "They said the market is smarter than they are. If only people in America and Europe would figure that out; that the market is smarter than our bureaucrats." Rogers notes "they have intimated they're going to let people go bankrupt. There's some people in the real estate business in China who should go bankrupt. I hope they let them." Whether or not Chinese officials will really 'let the market decide' in times of market turmoil remains to be seen. In recent months, however, China has followed a familiar script of stimulus packages designed to soften the economic slowdown. The People's Bank of China (PBOC) has cut its benchmark interest rates twice this year and cut reserve requirements for lenders in February. The government has also discussed liberalizing deposit rates and announced plans to restructure its more-than 100,000 state-owned enterprises. Partially as a result of these steps, the China stock market has surged: The Shanghai Composite was up 27% year-to-date as of Tuesday's close while the Shenzhen Stock Exchange was up a whopping 55%. "The Chinese stock market is beginning to form a bubble" that could spread to Taiwan, Hong Kong, Singapore and other regional markets, Rogers says. Nevertheless, he's not too concerned, saying: "If you sold your American stocks in 1915, you might have looked smart for a while but you would've looked pretty foolish over the next 80 years." A lot of water has gone under the proverbial bridge since 2007, when legendary investor Jim Rogers moved his family to Singapore, citing the region's huge potential. Of late, China's economy has stumbled badly even as its stock market has surged. Rogers is "absolutely" still as bullish on China today as he was back in 2007 when he published A Bull in China, one of his many books. "Whatever happens, my children are still speaking Mandarin," he says. "They're not going to stop speaking Mandarin and learn Danish or something." Overnight Wednesday, the Chinese government reported first-quarter GDP growth of 7% vs. the consensus estimate of 7% and 7.3% in Q4. The World Bank recently cut its 2015 forecast for Chinese GDP to 7.1%, roughly in line with the "new normal" President Xi Jinping discussed last year. Asked about these figures and Rogers shrugs: "I pay no attention to those numbers," he says. "Most governments make up the numbers. The idea the Chinese government couldn't have any clue about what's going on in China is a little mind boggling to me. I'm sure they're certainly the right direction...but whether it's 3% or 9% I have no idea. China continues to grow, continue to boom." It's my largest currency position, at the moment, but I emphasize at the moment. I own a lot of dollars and have done for the last couple of years, but it has gone straight up. Anything that goes straight up you have to start worrying about. Would you buy North Korea? Yes! I'm very excited about North Korea. If I could put all of my money into North Korea, I would. Massive changes are taking place there. I would not have invested in Kim Jong Un's father or grandfather by any stretch of the imagination, but that's like saying that in 1980 you shouldn't invest in China because of Mao Zedong. Are you still optimistic about China, even as economic growth slows? I'm still very bullish. I'm still buying more China stocks as we speak. We are supposed to buy when things are difficult. After a one-year hiatus from Kitco News, Jim Rogers joins Daniela Cambone to share his thoughts on the market, specifically gold. “Gold has its own mind,” he says. “Sometimes it moves with the dollar, sometimes it doesn’t.” Rogers says he’s not so concerned with the daily fluctuations and adds he is still waiting on a buying opportunity. Looking east, Rogers says he is bullish on the Chinese economy despite recent weaker economic data and continued easing in the country. “I’m bullish on the Chinese markets. My largest stock positions are in Asia - China, Japan, Russia,” he says. “I see more real estate bankruptcies in China, there’s a lot of debt buildup in China. But at the moment, I’m still there and I even bought more last week.” Rogers also has a keen interest in the Russian stock market. Tune in now to get his thoughts on the Federal Reserve and why he thinks they may not even raise interest rates this year. If North and South Korea unite, Japan will be faced with a huge new competitor, much more powerful a competitor than South Korea is right now. There will be a country of seventy-five to eighty million people right on the Chinese border, with lots of cheap, disciplined labor and natural resources in the north and lots of capital, expertise, and management capabilities in the south. Such a country would run circles around Japan. The cost of doing business in Japan is high and getting higher. Among other things, the Japanese do not have a lot of cheap labor anymore. Japan is against unification for obvious reasons. I am not sure why America is against it, other than simple inertia. For American bureaucrats, who are intellectually lethargic, characteristically slow to change their thinking, a divided Korea is a way of life. Several thousand US soldiers are stationed in South Korea — it is something of an industry, and an entire bureaucracy subsists on the industry's continuity. Where are the investment opportunities in North Korea? one might ask. I invest in markets, and there is no market there, so I would have to find companies, maybe Chinese or other Asian companies, that would benefit from the opening up of North Korea. I do not know of such companies right now. But North Korea is ripe for factories, hotels, restaurants, pretty much anything at this point. North Korea has nothing — no mobile phones, no Internet. Like Myanmar, the country lacks everything from the most basic goods and services to the highest technology. Yes, Myanmar has the Internet, but very little penetration. Yes, both countries have soap, but not nearly enough. Yes, both countries have electricity, but not nearly enough. Tourism, I believe, presents investment opportunities in North Korea. There are only twenty-five million North Koreans, so there is not going to be a big boom in their traveling the world, but there is probably going to be a big boom in South Koreans visiting North Korea. There will be a staggering business in marriage, because there is a huge shortage of girls in South Korea. South Korean men can look for wives in Los Angeles or Queens, but the main source of Korean brides is going to be North Korea. The north does not suffer from the demographic problem that plagues the South. I am dying to find a way to invest in both North Korea and Myanmar. The major changes in these two countries are among the most exciting things I see right now, looking to the future. In 2007, my wife Paige and I received permission to visit North Korea. I wanted to go there because I sensed that changes were coming. Now I am not a tour group kind of person. I like to make my own way and create my own itinerary, to decide where to go and what to eat. That is not an option in North Korea, where we had government minders every minute we were there. Walking down the main thoroughfare in Pyongyang, I saw a barbershop, and because I needed a haircut, I ducked inside, where an old man sitting on a stool stood up in shock when I started pantomiming the use of scissors with my hands. I was summarily pulled outside by one of our minders. A haircut, he assured me, was not on the agenda. By 2007, I think, only something like three hundred Americans had been to North Korea since before the Second World War — there was some strange statistic like that. Virtually no Americans had been allowed to go there since General Douglas MacArthur's troops went across in the early 1950s. It was clear to me that the North Koreans knew that their country needed changing. And it was not hard to understand why. All the North Korean generals, as young officers, thirty years ago, were sent to places like Beijing, Moscow, and Shanghai. Today they go as generals and see the changes that have taken place, and when they return to Pyongyang they say to themselves: Look at what is going on in those places, and now take a look at where we live — nothing has happened here, this place is still a disaster. The country's supreme leader, Kim Jong-un, was educated at a private school in Switzerland. It is very unlikely that a guy who is thirty years old and spent his formative years in Europe is going to come back and say, "Boy, I really like this, with no bars, no entertainment, no cars, no nothing." These men have been exposed to the outside world, and they know what is going on there. And in my view that is why North Korea is about to open up. And when it does, it will be a formidable player on the world stage. The Chinese are already pouring in. Up in the northwest, they are building new bridges connecting the two countries. There are new trade zones up there. So change is happening. Is The Worst Over for Crude Oil? The US asked Saudi Arabia to dump crude oil, which added pressure on Iran and Russia. So, the fall in crude prices is more political than economic while US crude supplies have gone up. Everywhere around the world, crude reserves have gone down and I don't know till when these artificial supplies of crude will continue. Now, if Iran and Russia come to a deal with the West, crude prices will start going up. Crude prices have to do more with the global political development than anything else. What can India do to retain the interest among foreign investors? India must open its economy more. The major problem about the economy is it's overprotected, and it's one of the reasons why India is not growing as fast as it should be. To buy Indian shares is not easy as it's overprotected and there is a need to change. The authorities should make the currency convertible and the markets open and get away with a lot of regulations and control. Otherwise, India will never live up to its potential. The current mood of global investors about Indian stock and bond markets is that they are happy. They are confident about India as there is a lot of money floating around. It's the first time in world history that all major central banks of the world are printing lots of money. Japan, Europe, Great Britain, the US are printing money, and that has never happened before, thus there is a huge amount of liquidity. A lot of things are going around the global stock markets, including India. That's why the mood is wonderful among foreign investors. But, one should remember that it's all artificial and cannot last for long. The next time we are going to have an economic problem in the world, it's going to be much worse because there is artificial money floating around, the debt levels of countries are rising while central banks are also managing much more debt. There is going to be much more pain for all of us in the end if artificial money keeps floating like this. This week, we are joined by none other than Mr. Jim Rogers. Jim was the co-founder of the legendary Quantum Fund, which he ran together with George Soros, some 35 years ago. 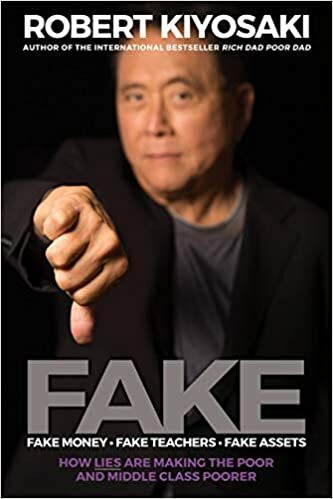 Jim has been very successful as an investor, and has many bestselling books to his name. Joining us from Singapore, where he lives with his wife and family, we were able to get his opinion on many of the big questions facing investors today. In an interview with ET NOW, U.S. investor Jim Rogers says he is not a buyer in gold at the moment and is hedging funds as of now. Rogers, the author of “Street Smarts: Adventures On The Road And In The Markets” also says base metals can be a good buy currently. The Bubble is a feature length documentary that ask those who predicted the greatest recession since the Great Depression, why did it happen and what are we facing? The documentary is an adaptation of Tom Woods' New York Times bestseller Meltdown. Filmmaker Jimmy Morrison is releasing each interview in full for free before the film's release. The Chairman of Rogers Holdings said, "I would like to put all of my money into Korea once it begins reunification." We met with the world-famous investor in Singapore to hear about why he chose North Korea and his insights on economic value of the country. A career in investments is full of opportunity as well as potential failure. An investor who has become famous for his foresight and successful decisions is Jim Rogers, who joins us today on INSEAD Knowledge. One reason I’m not buying gold at the moment or silver or gold, specifically, is that gold has not had a 50% correction in many years. Now, you know, Bob, as well as I do that most things correct 50% every few years. It’s just the way markets work. It’s normal. They may correct 50% – within the context of a bull market even. Gold has not done that for several years, which is why I’m waiting. I don’t know that it’s going to correct 50%. But if it does, I’ll certainly be buying a lot more. But that’s a very good point. Gold back in the ’70s went up 100% in a year or two, and then it turned around and went down 50%. It scared the socks off a lot of people before it turned around and went up 850%. So, in my view, the same sort of thing is happening with gold now. A difference is we have a lot more bulls on gold now than we did in the ’70s. In the ’70s, gold hadn’t traded in most markets, or certainly not in the U.S. in the big Western market for decades. So you didn’t have many people who even knew gold could trade. Now, you have a lot of people who think that gold is holy, who are very faithful to gold. In my view, we gotta shake out a lot more of those people before gold can really have its ultimate bull market top. But gold will end in a bubble someday, in my view. But we cannot really hit that solid bottom until we shake out some of the faithful. The oil market drop is not good for Russia – no question about that – and it’s making the ruble go down. But, no, I see this as an opportunity. Unfortunately, I’m not very good at timing, so I don’t know when the opportunity will be. Oil prices are not gonna stay down forever, I suspect. And Russia will rebound with oil or when they get their own act together. I mean, they’ll have to – if oil stays down at $60, they’ll have to get their act together and reorganize. But they’ve got enough resources. It’s a vastly, vastly rich country as far as resources are concerned. And it’s a very, very cheap market. I think it’s selling at half of book value right now. That’s not an expensive market. It’s perhaps the most hated market in the world except for Argentina, I guess. And – well, not even that. Argentina’s not as hated, ’cause people are trying to raise money to invest in Argentina. So I guess Russia must be the most hated market in the world, which normally is an opportunity, Bob – normally. I mean, I emphasize normally. Who knows where the bottom is? I don’t. I own some Russian stocks. To my astonishment, the main one I own is not even down in all this. I guess it’s because it’s – it sells in dollars. Its expenses are in rubles, and it sells in dollars. So that’s helping it, and that’s – Aeroflot (MCX:AFLT) is another one I own, which is also sort of benefiting these days. But to answer your question, I don’t have a clue. I do know – I think we all know – that markets go up too far, and they go down too far. Once you start building their momentum, panic develops. People get more and more scared. Marching calls go out. So I have no idea. As far as I’m concerned, the Central Bank in Russia has been doing the right thing. They said they were not going to intervene anymore. Yesterday, they intervened for the first time in a while. But I think it’s very smart – not intervening. Let it collapse. Let it find its own level. And then we’ll have a staggering rebound. But who knows? It’s 52 right now. I guess, it’s 52 right now. You’re right. It changes every three minutes. Who knows? Why not 60? In Russia, they talk about 60 as some kind of catastrophic bottom. Who knows? I don’t anyway. CCTV America interviewed Jim Rogers, who runs Rogers Holdings, a investment firm, about the 2015 economic outlook. Erin sits down with famed investor Jim Rogers to talk about Russia, agriculture, and China. Rogers is bullish on agriculture and likes China. But he sees the Chinese purchase of the Waldorf-Astoria hotel as a top of the market kind of “trophy” acquisition. Jim also comments on whether a US equity bear market is on the horizon. Russia's PM says emotions have been one of the main factors driving the rouble out of its comfort zone. It is now sliding a little after regaining some ground following Tuesday's shocking falls. Financial commentator Jim Rogers believes panic is a crucial factor driving the rouble down, but overall he's optimistic about Russia's plan to tackle the problem without strict capital control. 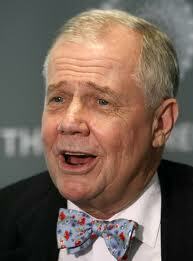 Jim Rogers, chief executive of Rogers Holdings, says he is surprised by the sharp decline in global oil prices. With America's shale oil boom continuing to cause oversupply, the oil prices will continue to see a downside momentum, he adds. As global commodities prices plummet, it’s incredibly convenient to pronounce the commodities super-cycle dead, isn’t it? Yet banks from Goldman Sachs to Citigroup to Deutsche Bank are on record as saying it’s over. The Rogers Commodities Index, which represents the value of a basket of 36 commodity futures contracts, is down 20% since mid-June. But does incredible opportunity lie among the carnage? Well, I asked the Founder of the Index, celebrated hedge fund manager and bestselling author, Jim Rogers. Jim was born just a stone’s throw away from Wall Street Daily’sheadquarters in Baltimore, Maryland, and I get smarter every time I speak to him.